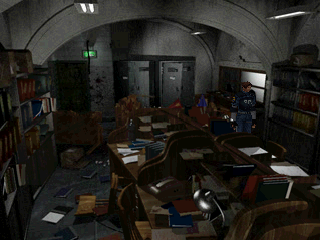 This page covers the differences between the demo and final version of the game. 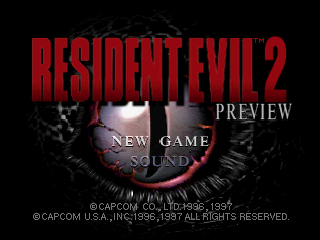 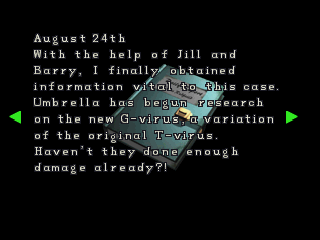 The demo I'm using is called Resident Evil 2 Preview (also known as Biohazard 2 Trial in Japan) and was included with Resident Evil: Director's Cut. 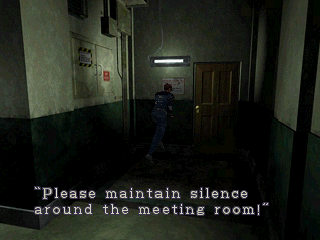 For those who care, I used the PAL version. 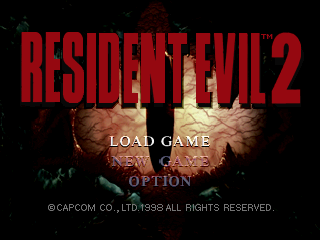 The demo has a different background at the title screen, and the title uses smaller letters. 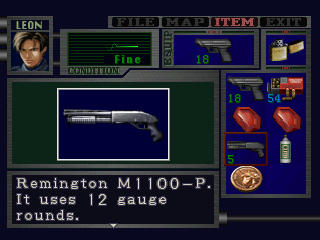 It also only has the options for new game and sound. Going on sound in the demo taken you straight to a simple toggle between stereo and monaural. 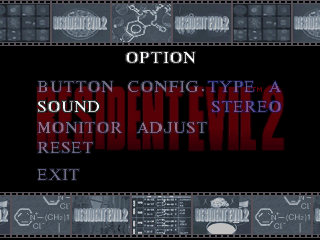 In the final the sound options are with a bunch of other options in a separate menu. The only FMV sequence in the demo is for the Capcom logo, so for the intro, a short text-only explanation is used. 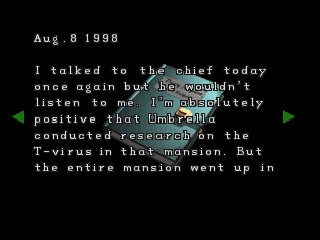 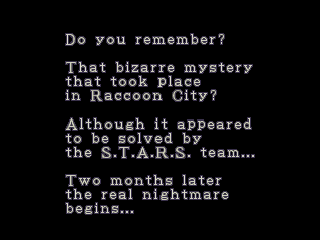 The final version has a couple of FMVs explaining what happened in the first game along with showing Leon arriving in Raccoon City. 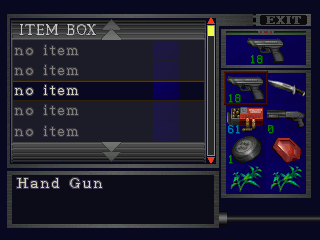 The inventory screen has a few differences. 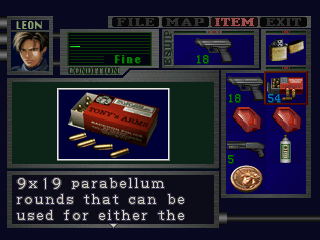 First of all, Leon's profile picture is different, as is the font for his name and the box around the picture is thicker. 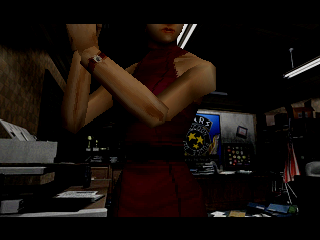 There are some very slight color differences with the shading in certain places. 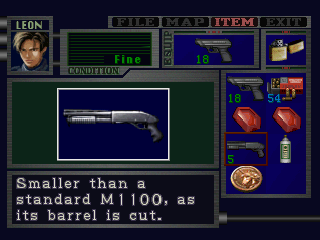 Most of the item pictures are different (see below for comparison pictures). 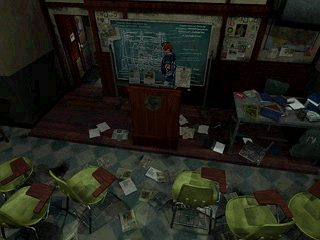 In addition to the maps having different colors, there is no marker showing where Leon is in the demo, but a green arrow was added for the final. 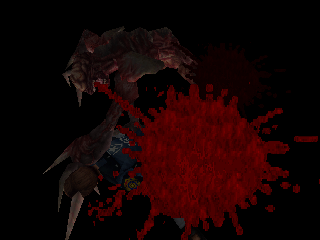 This background is the first one to feature any differences. At the back left corner, the wall is different. 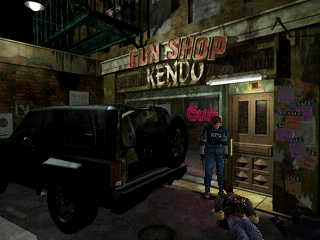 Kendo's gun shop doesn't have a light above the door in the demo. 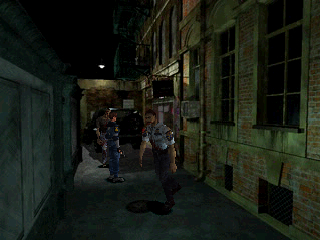 The final version does have one, which changes the lighting over the door and reflects off the car's back windows. 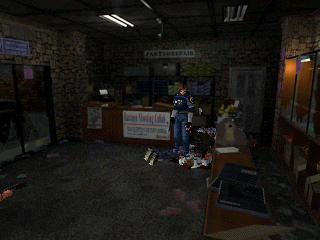 The shop has a slight difference as well -under the word Kendo there are some objects in the demo which were taken out of the final. There are some differences with items in the shop. 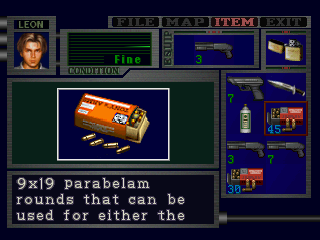 The demo features two boxes of handgun bullets, which are behind the counter next to each other. 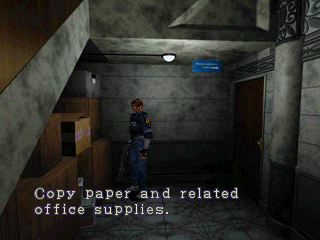 The final has one box behind the counter and another on a box in another corner of the room. 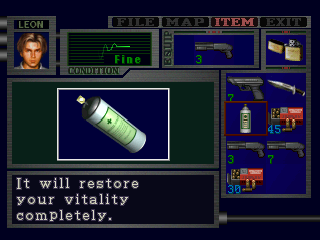 The demo also has a first aid spray on a shelf which was taken out of the final game. 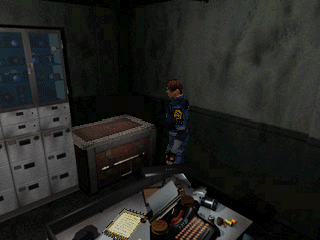 There's a typewriter on a box in the demo, as noted above, this was replaced with handgun bullets in the final. 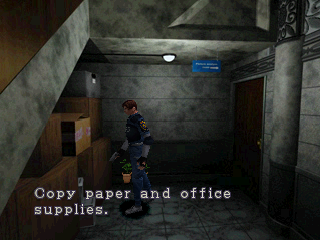 If you look closely at the demo screen, you can see some ink ribbons next to the typewriter, but these can't be collected -you can't save in the preview anyway. 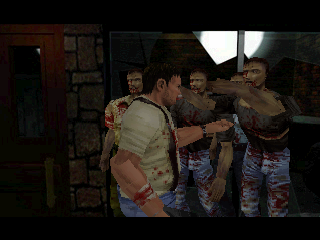 The cutscene where the zombies smash through the window is different. 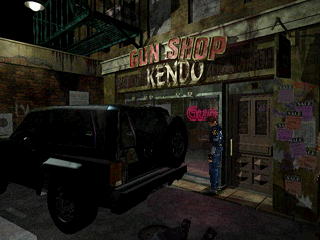 Kendo oddly waves his hand at them in the demo, despite the fact that he's holding a shotgun in his other hand. 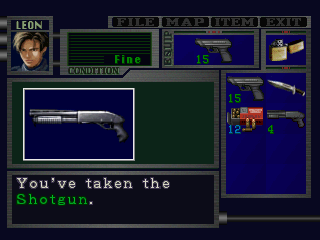 In the final game, he at least has the smarts to fire the shotgun, although it doesn't do him much good. 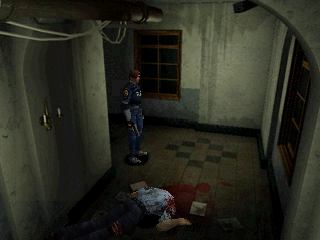 If you check this background after the zombie attack, some smashed glass was added to the floor in the final version. 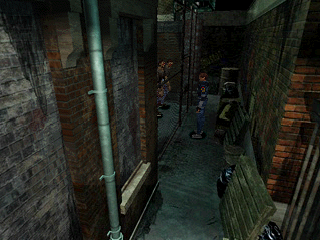 Heading out of the backdoor of the shop has you in the alleyways, where the are a lot of differences with the backgrounds. 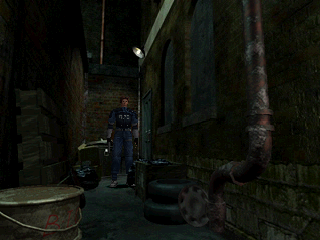 This one has a building with a window in the top left corner, the final version gets rid of the window and also changes the color of the pipe. There's no building in the middle top section of this background, one was added for the final game. This background has several differences. 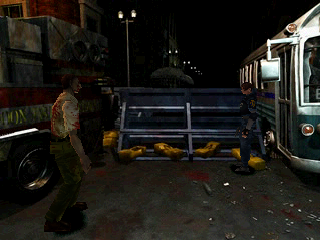 The zombies don't start hitting the fence in the demo, but they will in the final. 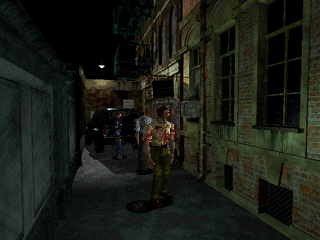 The door here is part of the background in the demo, but in the final version it's a separate object which the zombies will hit open once you've gone far enough past it. 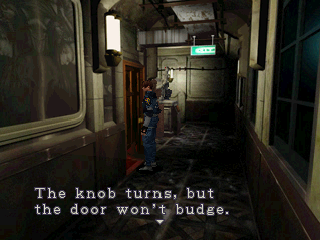 The door doesn't open in the demo for reasons that will be explained below. 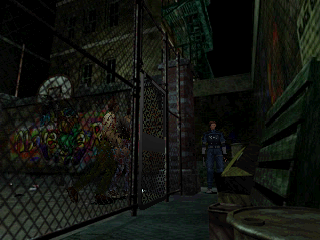 The graffiti on the wall is different, and the building in the top left corner had a few changes made to it for the final version too. 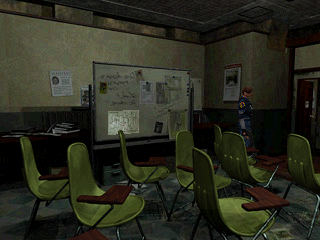 This background had a section of wall removed for the final game. 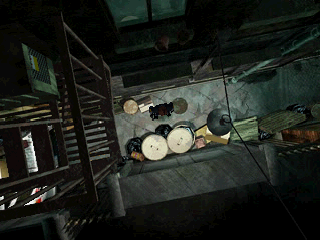 This bird's eye view background also had some changes made to the wall on the left. 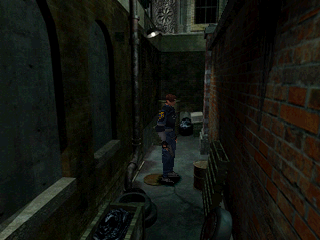 Unfortunately due to an oversight (or laziness), the final version's background didn't move the flower pots back far enough, making them look like they're floating. 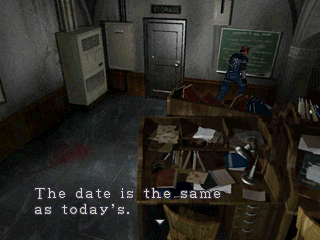 Here's one of the biggest differences in the demo. 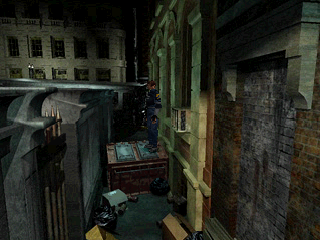 You'll come across a dumpster here which you can climb over and head on. 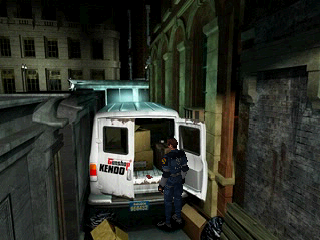 In the final version, there's a van blocking the way, which has some handgun bullets in it. 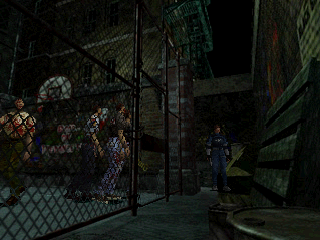 At this point the zombies on the basketball court will have hit down the door, so you can go back and go on a different path no present in the demo. 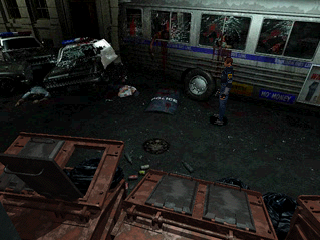 In addition to the dumpster there are some other differences with this background, notably you can see the bus at the far back is different. 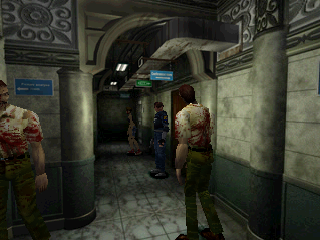 You can see less of the building at the back left in the demo than you can in the final, due to the wall in the lower left being different. 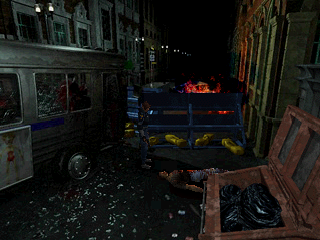 In the demo, after you've climbed over the dumpster you'll reach a barricade. 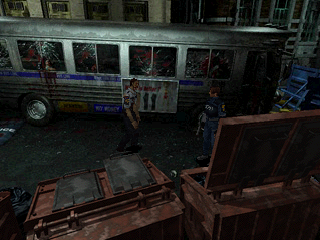 To reach the same point in the final version you will have just stepped out of a bus. 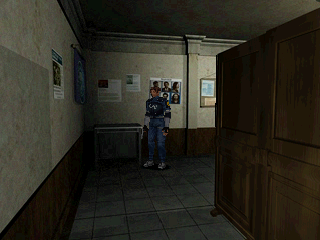 These backgrounds between now and entering the police station's grounds are very different from each other. 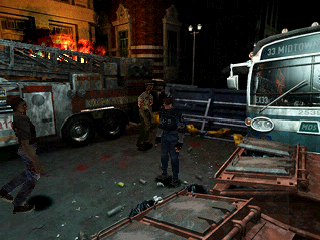 A bus in the demo was replaced with a fire truck in the final. 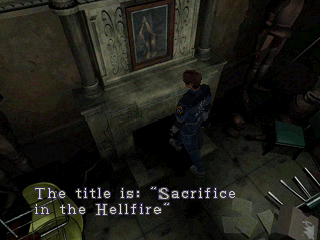 There's a fire in certain parts of the background in the final version, whilst there isn't in the demo. 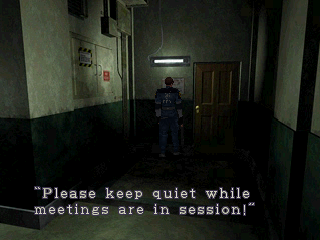 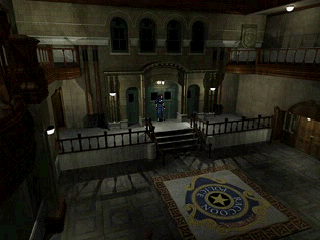 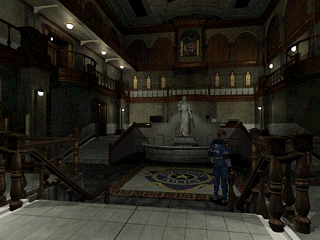 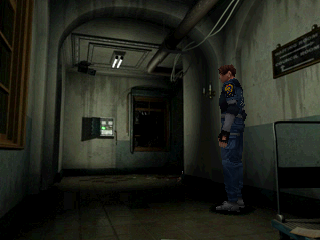 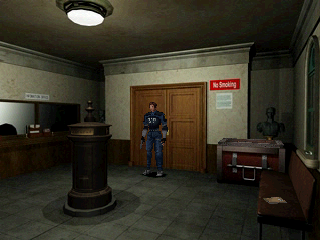 When you first enter the police station, there is a brief cutscene showing the main hallway. 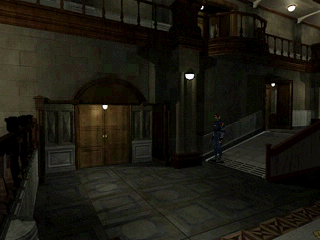 This is the only time you get to see the third floor in the demo. 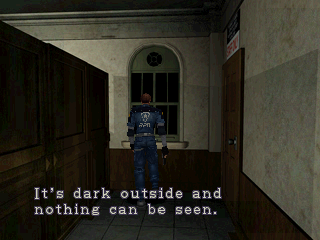 There's no light above a door in the demo, one was added for the final. 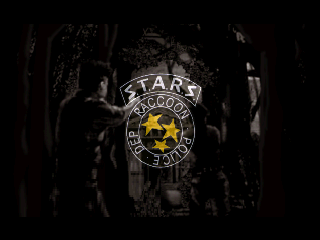 This background shows a difference in the top right corner. 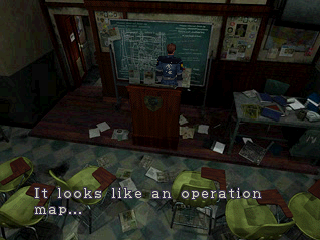 The demo doesn't have the part of the wall for where the unicorn medallion is kept for the B scenarios. 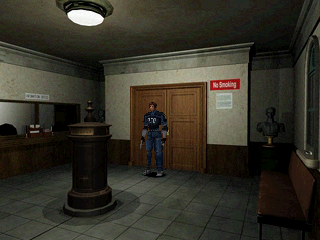 This door has a message about it being off limits in the demo. 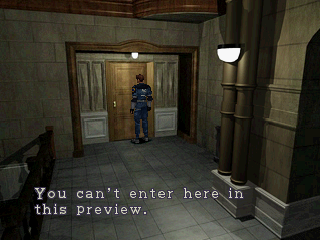 You can't enter it straight away in the final version because it's electronically locked. 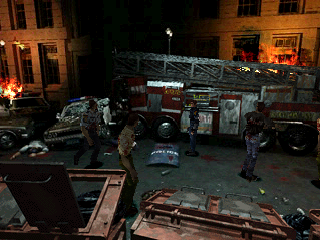 -no emergency ladder is in the demo yet. 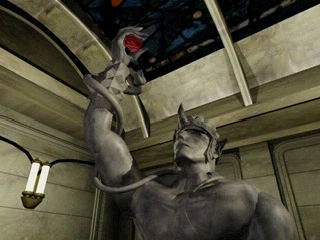 As mentioned above, the statue is slightly different between the demo and final, but the bigger difference is that the demo doesn't have the space at the front where you have to place the unicorn medallion. 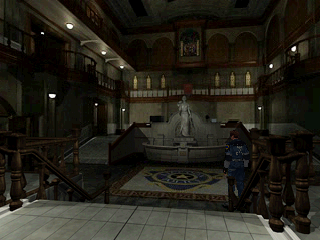 It seems this was thought up later in development, as there is a difference mentioned above regarding the space for the medallion being missing on the second floor. 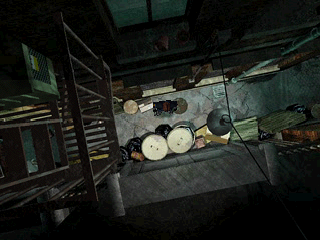 Here's a better look at the missing emergency ladder. There's a light there instead. 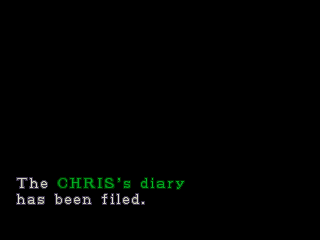 -There are no ink ribbons in the demo, some are next to the typewriter in the preview. -The demo has a box of bullets on the desk at the back, the final moved to a different desk at the front. 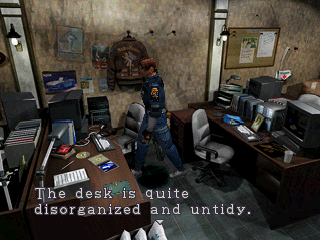 -The computer has a slightly different display. -There's an extra chair in the demo that was taken out of the final. 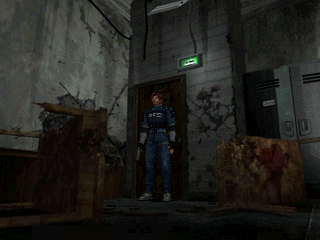 -The door at the back is different, and was flipped for the final game. 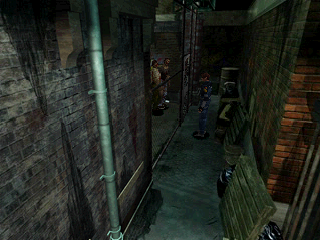 The demo has a background which was removed from the final game. If you move close to the computer, the background will change to the above. 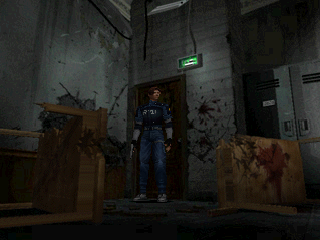 The light on the right here in the demo was taken out of the final, to make way for the emergency ladder. 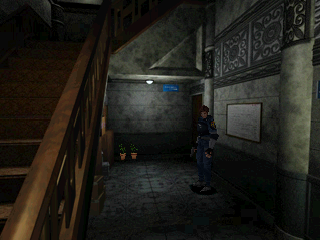 Other differences include a missing shadow above a light in the demo which was added for the final. Oddly, the final version makes a mistake with the computer display here -if you look at the background above this, note how the display image is flipped. 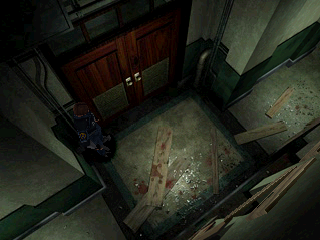 As this door was flipped, you can see the door knob for it in the demo for this background, whilst you can't in the final. Nothing too different with this background, other than you can see the door knob for the door on the right in the demo, but you can't in the final. 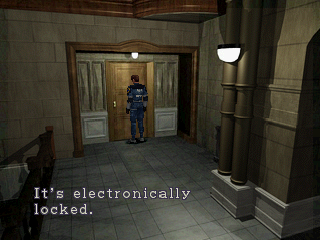 This door requires a key to open in the demo, but is electronically locked in the final. 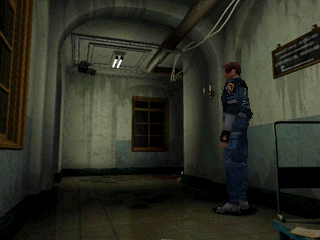 This room is very different between versions. 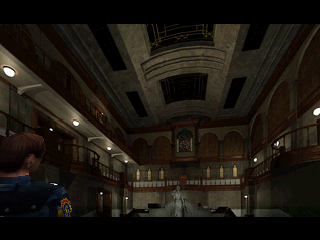 In the demo, when you come in here you can explore the full room straight away, there is no cutscene. 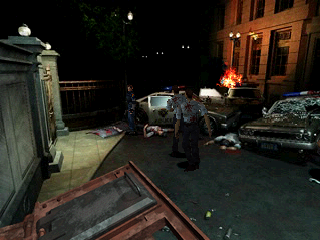 When you first enter here in the final, there's a cutscene where you meet Marvin, a cop who's been injured by zombies. 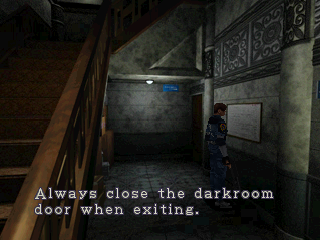 You can't fully explore the room until later on in the game, once you've got the diamond key. 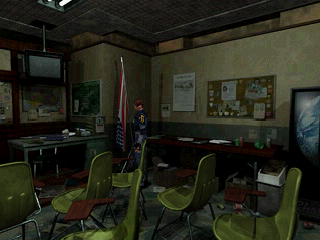 The background has some color differences, plus the damage to the wall next to the door and one of the chairs is different. 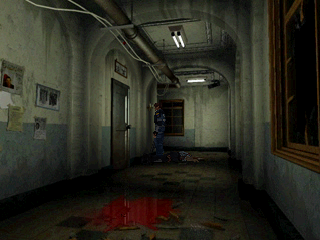 In the demo there are a few enemies to fight in here, but in the final there is only Marvin. 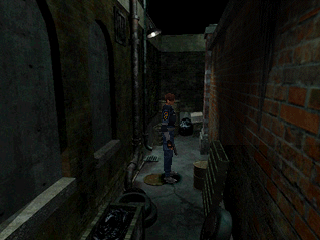 This background has more coloring differences, such as on the upper right wall. 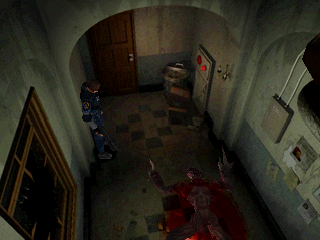 The floor has some different colors too. 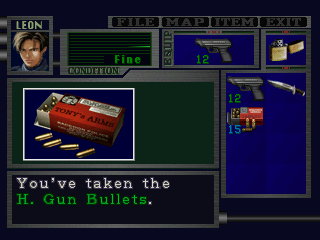 The desk has a box of handgun bullets in the demo, but has a note to Leon in the final. 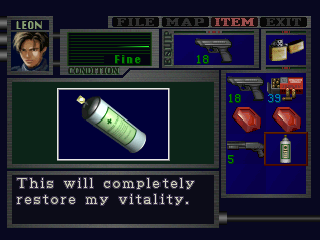 Some of the bottles are different, with the labels being changed in the final. 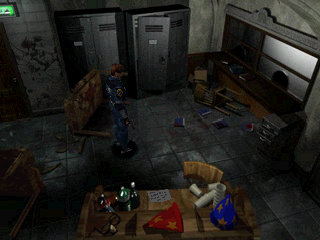 One of the lockers at the back has a shotgun in it in the demo, in the final it has some handgun bullets. 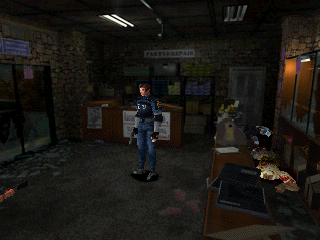 You get a closer look at the changed bottles on this background, but the biggest change are the wall colors. In addition to the color differences here, the demo has the P key on the table in the demo. 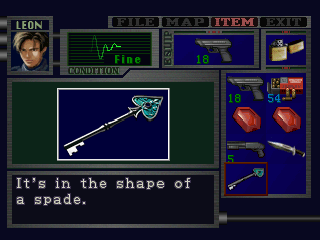 In the final there's a different key here, the heart key. 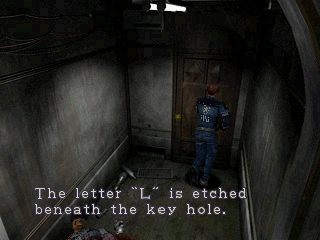 The keys are different in the demo, and feature letters on them. 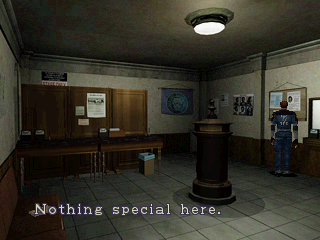 The final version went with card suits. 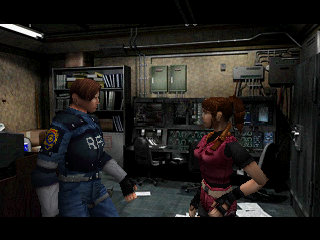 More color differences. The demo also lacks the green herb that the final version has. There's no item box in this room in the demo, one was added for the final version. 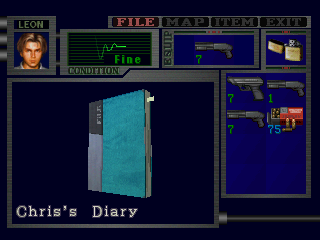 There's also next to no files in the demo, so there's a missing diary on the couch which was added for the final game. 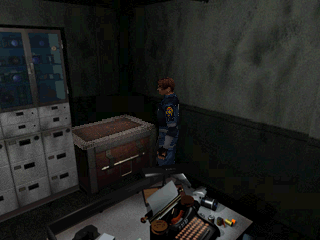 These drawers were given a re-design for the final game. 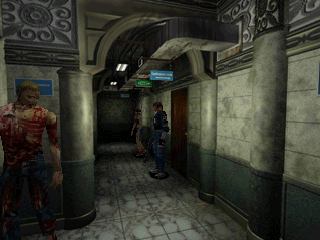 This hallway was changed quite a bit for the final game. 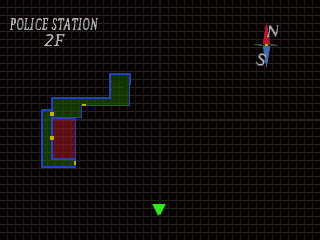 Some colors here are slightly different. 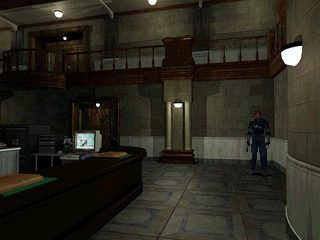 The demo doesn't have the box next to the windows. 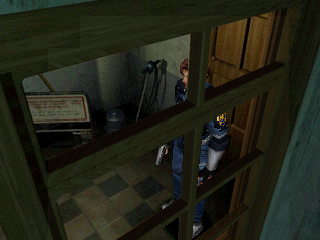 In the final version, you can use some wire on this box to activate the shutters. 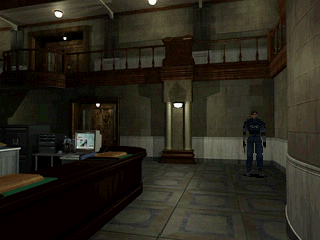 This was clearly thought up later on in development, as the demo is also lacking the shutters. 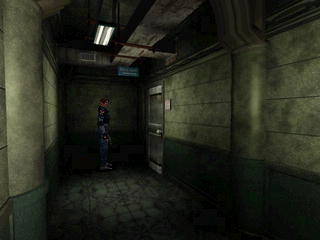 Further on into the hallway, there's no glass here in the demo, some was added for the final. 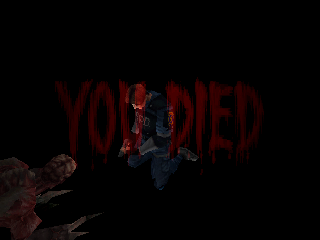 As there are no FMVs in the demo, the licker will just drop down with in-game graphics rather than the fancier stuff the final has. 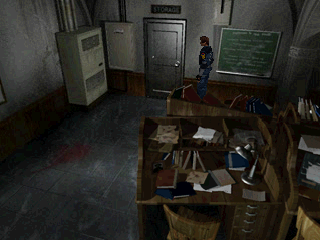 However the FMV has some continuity errors -if you look, the shutters and box where you put the wire in are missing in it. 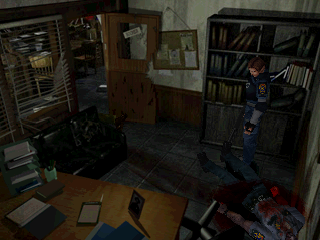 If you let the licker kill you in the demo, Leon has a death animation where the licker will repeatedly smash his head into the ground. 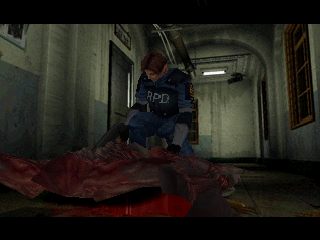 Apparently this was a bit too violent as from what I can tell, it was removed from the final game. Leon will just fall to his knees and then collapse instead. 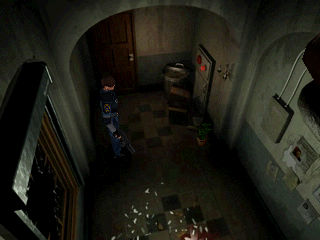 In addition to the missing glass and window shutter, the demo is also missing a green herb the final has here. 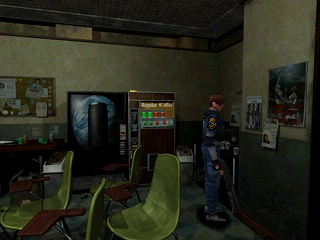 The vending machine originally featured a red can on it and text that possibly reads "Cha Cha Cola" at the bottom. 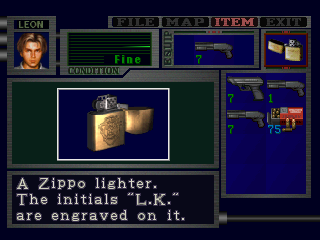 Given the close resemblance to Coca Cola, the final version changed the picture to a black can and made the text much darker, to the point where it's very difficult to read at all. However, the Japanese final version does still have these unchanged Coca Cola images. 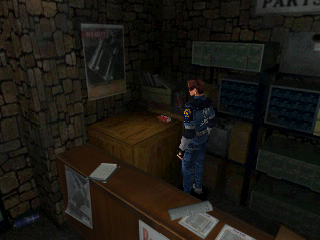 The alleged story is that the Coca Cola Company threatened legal action against Capcom if they didn't remove these from the game, so for any version released outside of Japan, they were changed. 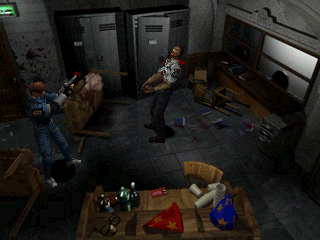 Another look at the "Cha" cola difference. 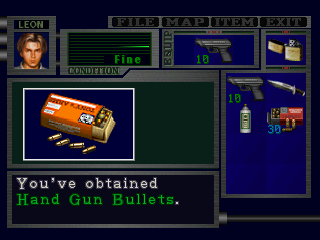 There's a box of handgun bullets on a desk here in the demo version that the final version took out. 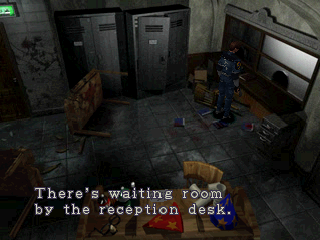 Nothing too different here other than the vending machine differences mentioned above. 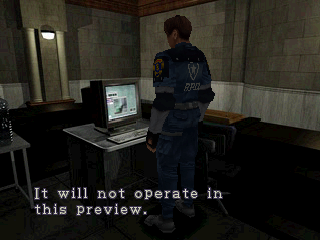 There's no file here in the demo, in the final game you can find the operation report 1 on the desk at the back. 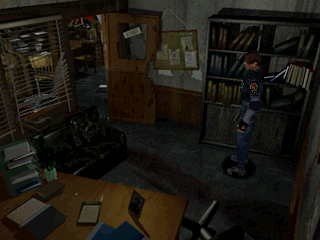 This whiteboard has an additional document on it in the demo which was removed from the final. ...and you'll see that in the demo, this is a sliding style door. It's a regular door in the final version. 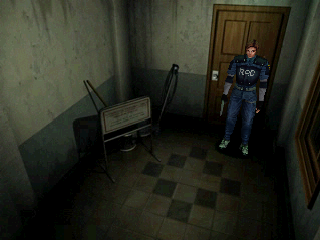 The little poster next to this door is in different positions between versions too. 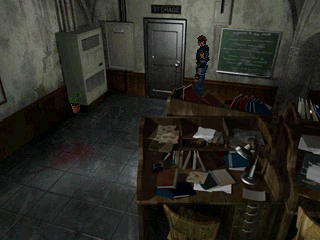 There are no herbs here in the demo, two green ones are present in the final. 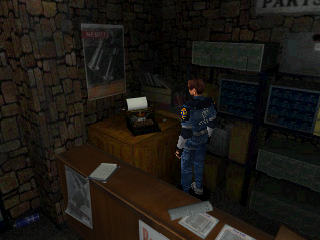 This save room has no ink ribbons in the demo, in the final there are some next to the typewriter. 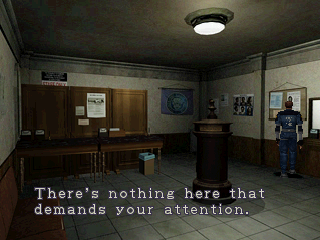 As well as there being some shading differences with the cabinet and item box, the demo lacks the operation report 2 you can read in the final version. 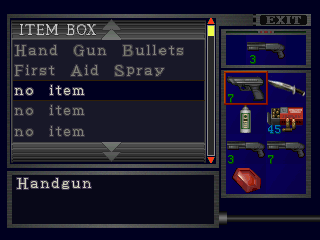 The item box has a box of handgun bullets and a first aid spray in the demo, whilst in the final you get nothing. 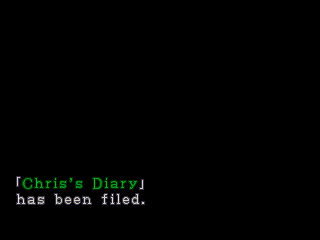 There's more space between "no" and "item" in the demo than there is in the final. 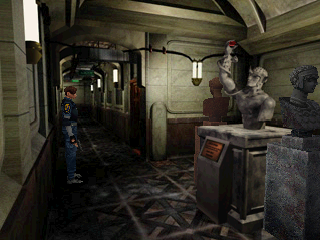 The statues you can move were given darker shading in the final version. 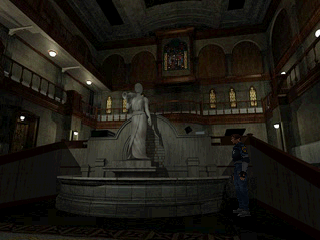 This green bit of stained glass was removed from the final game. The picture of the team members in the S.T.A.R.S. 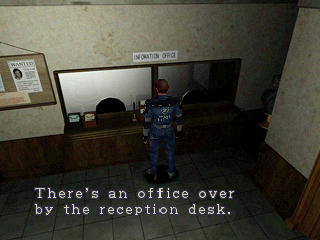 office is different. 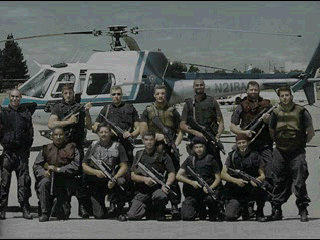 The background features different trees and the helicopter itself has a few changes. 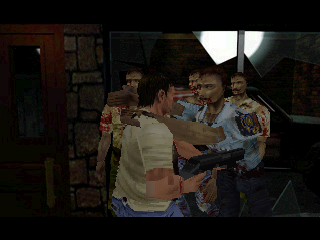 Pretty much every team member was changed in some way, mainly their faces were altered or their weapons were edited. 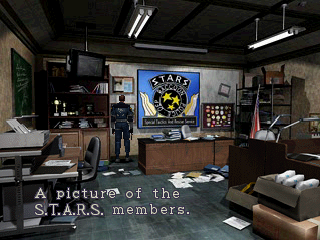 The final version of the picture swaps Wesker and Kenneth around, for whatever reason. 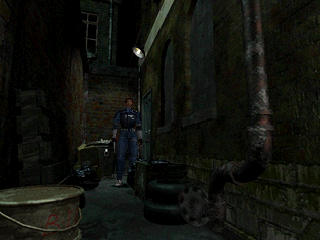 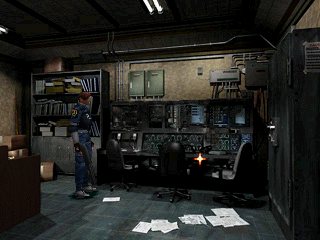 Edward was moved closer to the other team members in the final version. 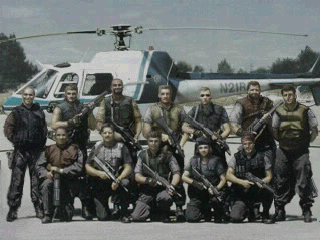 I may as well mention this whilst I'm here: nobody knows who the guy crouched at the far left is (he's next to Enrico). 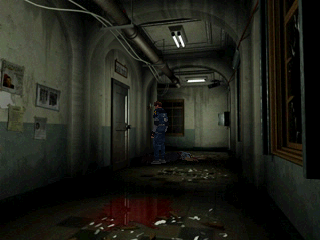 He wasn't in the first game at all, but he still got edited between the demo and final versions of this picture. 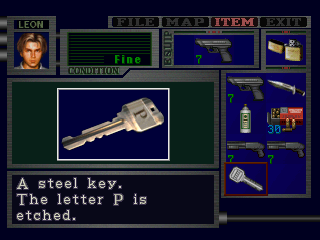 The demo has the L key on this equipment, whilst there's no key there in the final version. 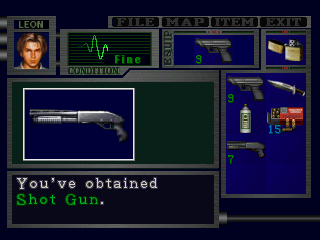 The demo doesn't let you check the cabinet to the right, in the final you can do this and find a shotgun. 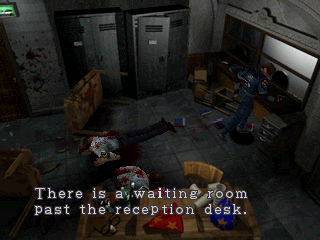 After you pick up the L key in the demo, Ada will appear and fire at Leon. 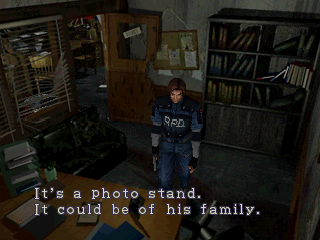 He turns around and the camera slowly pans up to show Ada, but then the screen fades out. 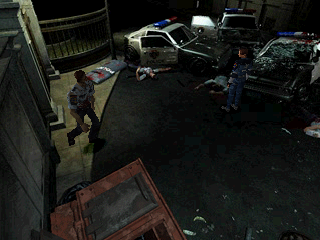 This scene is in the final game, but happens in the parking lot. 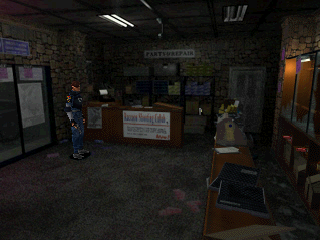 The demo then ends here. 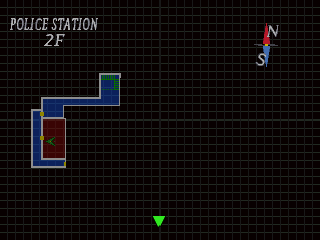 Of course, in the final version things are just getting started. 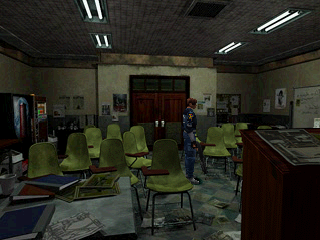 After you pick up the unicorn medallion, a cutscene will start where Claire arrives. 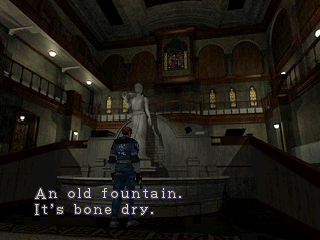 When you look at this in the demo, the background doesn't change like it does in the final version, so you get a better look at the front of the fountain. The demo doesn't change the background in to get a better look at the painting like the final does. 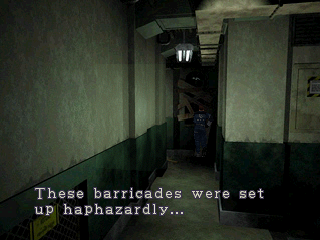 Note how there are some really small spacing changes before the but in the final version. 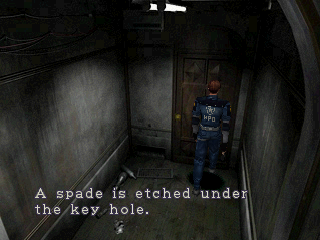 The , is spaced a little different too. 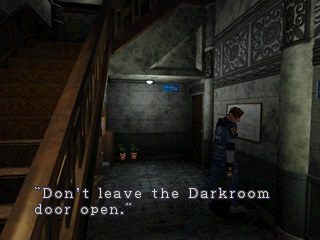 This text layout change is present for all locked doors, so I'll only list it once. 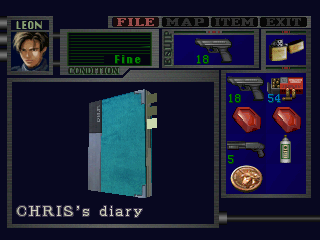 In addition to the text changes, the folders are very slightly different too -a few pixels were edited for the final version. 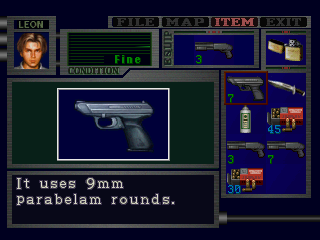 You obtain items in the demo, this was changed to them being taken in the final. 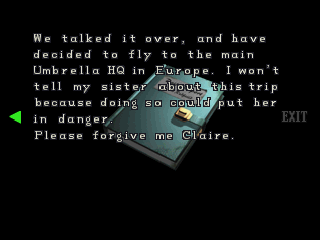 All of Kendo's dialogue is at a higher pitch in the demo than it is in the final. 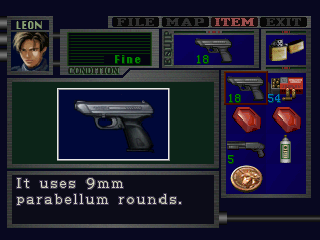 -Leon's handgun has a capacity of 15 bullets in the demo, for the final, this was increased to 18. 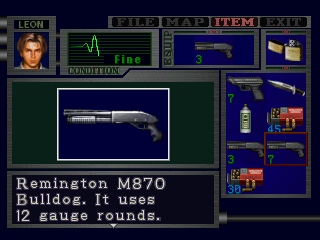 -The shotgun has a capacity of 7 shells in the demo, for the final, this was decreased to 5. 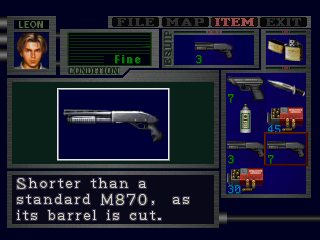 -Kendo's shotgun has 7 shells in it when you pick it up in the demo, in the final, it only has 4. 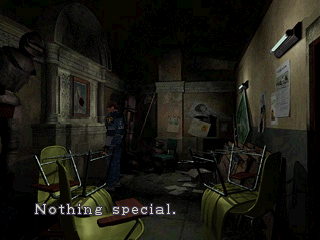 -There are many things you can examine in the preview that you can't in the final. 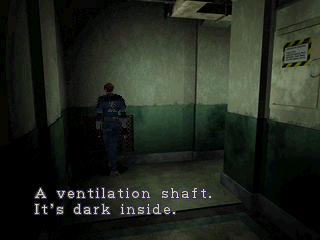 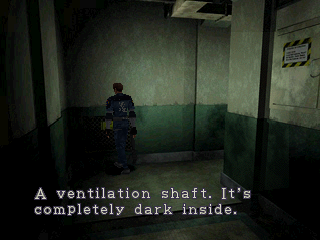 Examples include the stove in the reception, two different boards in the briefing room and some equipment in one of the first floor corridors, which hints at the power generator basement puzzle seen in the final game. 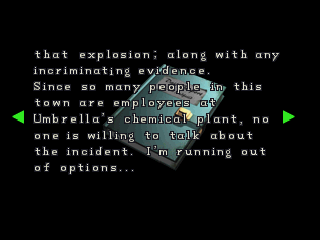 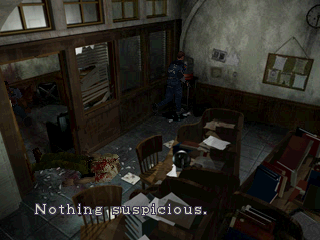 However there are a few things in the demo you can't examine that you can in the final. 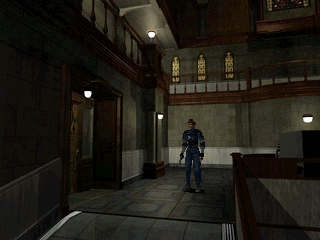 -The music features different tracks used in certain rooms in the preview. 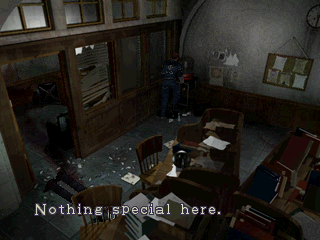 Some rooms have no music at all. One of the final game's best tracks, the 1st floor police station theme, doesn't appear to be in the demo. 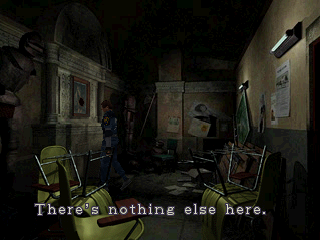 -A couple of backgrounds have these really minor shading differences, such as this and this. 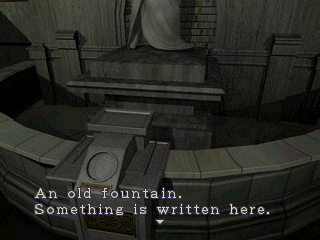 -The white font has bigger capital letters in the demo, they were made shorter for the final game. 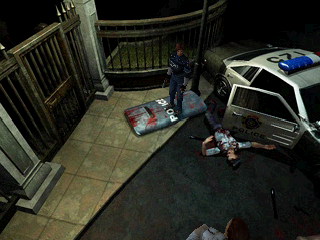 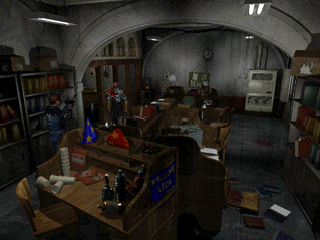 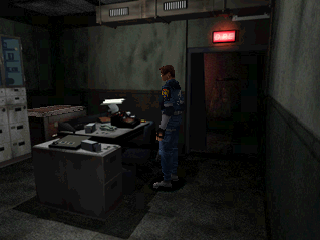 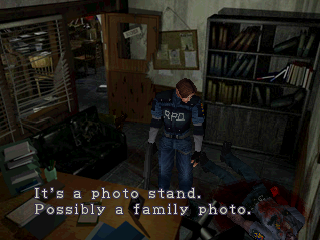 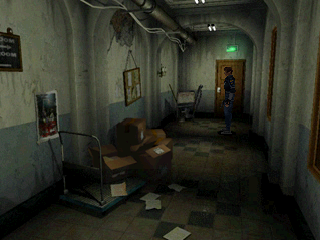 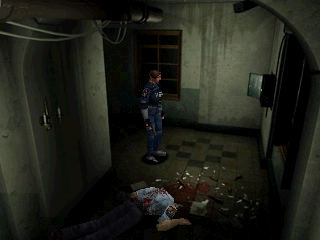 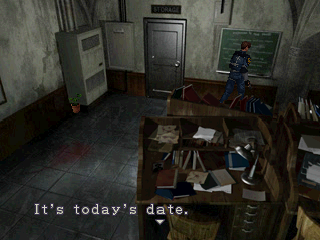 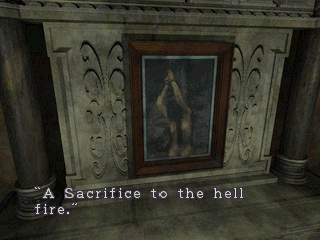 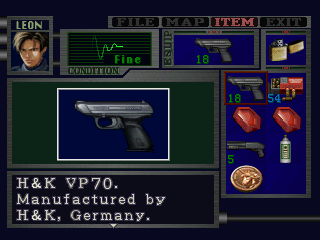 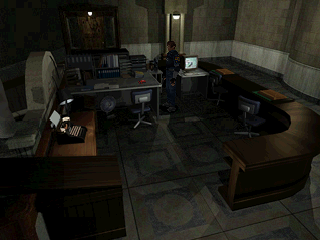 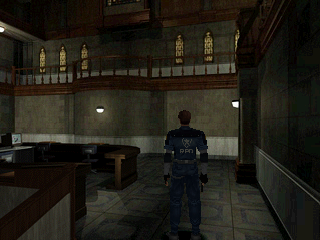 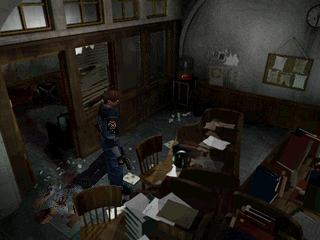 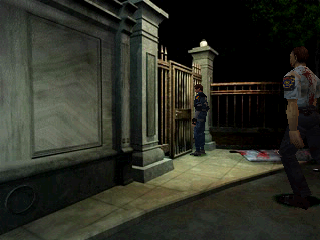 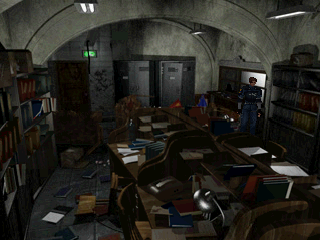 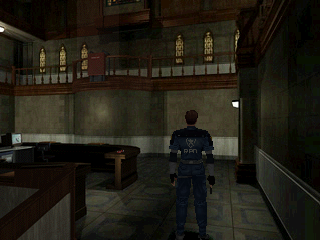 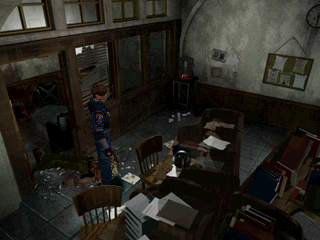 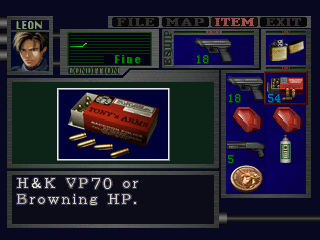 -The demo lacks the hidden ammo spots that the final version features, such as behind Wesker's desk. 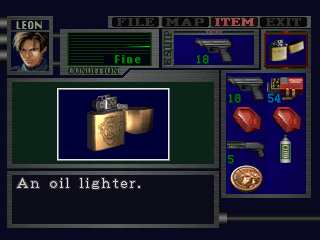 Although these hidden items aren't present in the final Japanese version. 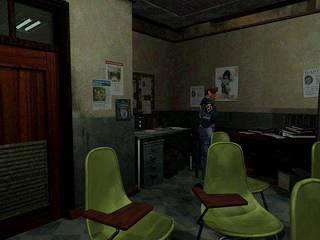 -The hidden picture of Rebecca Chambers you can find by searching Wesker's desk 50 times in the final version isn't present in the demo.